Free Mobile App Available Now. 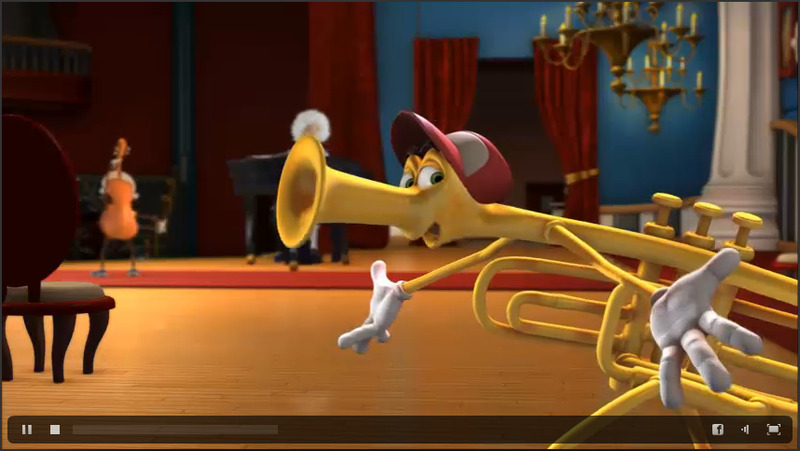 First of Its Kind App for Children Allows Young Viewers to Conduct Where the Musical Story Goes. Developed by Melody Street, creator of the innovative website http://www.melodystreet.com, Mozart Interactive mobile app introduces children to a creative musical performance through cutting-edge technology that allows budding musicians to control where the story goes. Musical instruments come to life through fanciful, animated characters – each with their own distinctive personality and sound. It’s the perfect symphony of fun for kids of all ages. Melody Street’s host, 10-year-old Ethan Bortnick, plays a duet of Mozart’s Rondo Alla Turca with stringed pal Val Violin. The other characters – favorites Heidi Horn, Timmy Trumpet and Febe Flute – are eager to participate and keep interfering in the piece while Sammy Snare tries to keep control and get them off the stage in different, highly comical ways. Viewers instantly become “conductors” of the story they’re watching, giving them the power to choose actions that control where the narrative takes them and ultimately affecting its outcome. With three different characters and four different sections of the piece to select from, kids can create a total of 81 unique videos to save and share with friends and family. 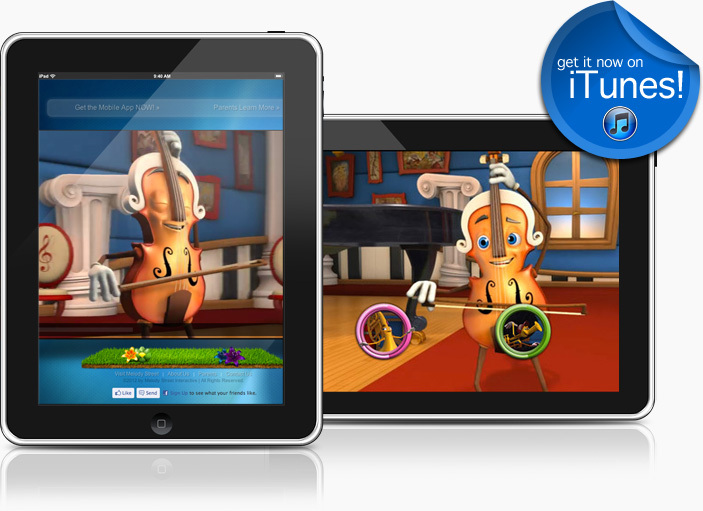 Orchestrate hours of musical amusement for your little composers by downloading Mozart Interactive today! Mozart Interactive was created by Los Angeles-based Melody Street, LLC and technology pioneers Interlude (based in New York and Israel). Interlude’s patented technology platform allows consumers to create in real time a unique and dynamic version of a video that is based on pre-recorded audio and video segments. The result is a one-of-a-kind, sharable creation. Previously Melody Street released an interactive video, http://www.melodystreet.com/interactive/mozart, on which the free app is based. Melody Street is a music-based brand aimed at introducing children to the wonderful world of music. Across multiple platforms, Melody Street is an innovative and fresh way to entertain kids while engaging them in music in a meaningful and beneficial manner. http://www.melodystreet.com is a voice-over guided interactive site aimed at children 3 and up, featuring musical games, videos, activities, multi genre radio stations, free downloads and much more. At only ten-years-old, entertainer and musical sensation Ethan Bortnick has already made world history as the youngest musician, composer and entertainer to headline a concert tour - a Guinness world record. In addition to his own work and collaborations with some of the world's most well known artists, he has helped raise record amounts of money for charities around the world, by performing, inspiring and educating. Ethan is a true ambassador of music, arts and good will, and is a positive role-model to audiences of all ages.